This super slimmer from South Shields, Tyneside, has reason to celebrate after dropping nearly half her body weight in just under two years. 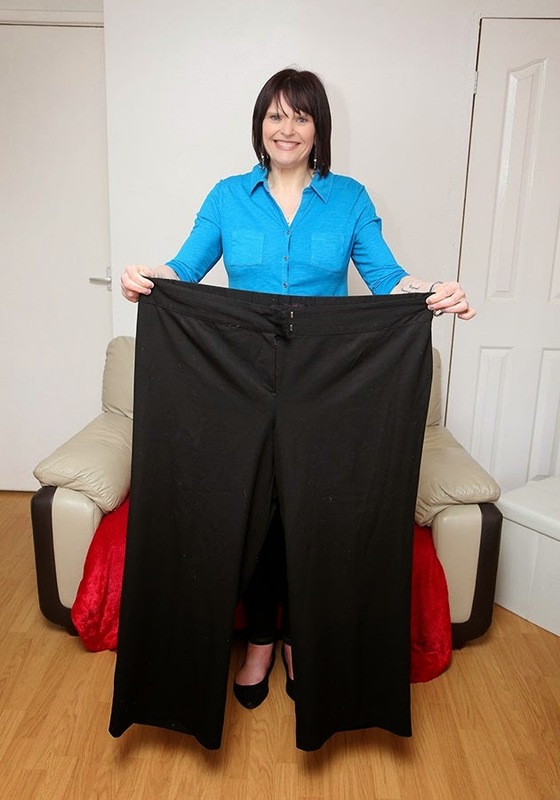 Michelle Quinn, 42, says she feels like a new woman after losing 12.5st and going from a dress size 30 to size 12, uk.lifestyle.yahoo.com reports. Her weight ballooned after scoffing a loaf of bread a day but she lost the weight after cutting out the white carbohydrates (bread, pasta, rice) - including the butter-filled bacon sarnies, crisps for lunch and fish and chips for dinner that she used to eat. She ditched the bread and the white carbs and started a diet consisting of cereal or fruit and yoghurt for breakfast, home-made soup for lunch and healthy versions of her favourite meals for dinner, such as cooking with lean meats instead of fatty cuts.